Have you ever complained about having your SSN on Medicare card? If so, recent decisions by those in charge of Medicare may have you excited. Since it’s inception, medicare ID’s have coincided with the recipients social security number. The decision has been made to change the formatting of the highly contentious cards to exclude an individual’s SSN, coming as a much needed change to policy which many senior groups have advocated in factor of for years on end. For years, seniors have been prey to identity theft due to the amount of personal information, such as their SSN, that they’re required to share with health care professionals and insurance providers. This change attempts to curb these transgressions and make the medical industry safer for those over the age of 65. Government officials have stated that they are on track to have a completely overhauled identification system in place for medicare recipients, in which the social security number that has been used previously is replaced by a randomly generated identification number. 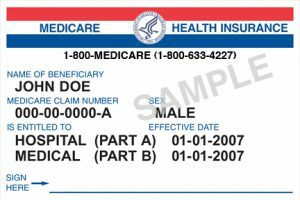 The new form of identification, dubbed MBI (short for Medicare Beneficiary Identifier), will be rolled out in full by the year 2019. Along with that, medicare has set up a website to inform recipients about the changes here.